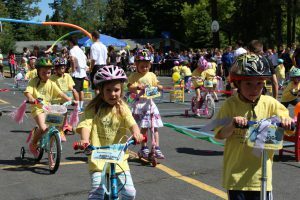 This charity event was started at All Saints and is comprised of our preschoolers riding their tricycles, scooters or bikes for 20 minutes while raising pennies to benefit Bite2Go – a program in partnership with Second Harvest that provides weekend food supplies to children in need during the school year. This is a wonderful opportunity for our youngest students to live their faith while serving other children in our community – it’s never too early to learn to give back! 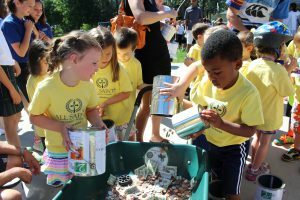 The All Saints Preschool students start collecting pennies at the beginning of May. Last year, our preschoolers raised over $1,200 for “A Bite 2 Go”!